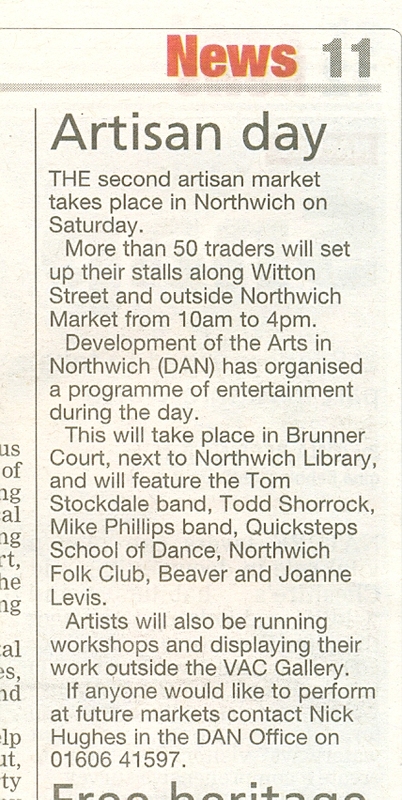 DAN has organised a programme of entertainment for the next Artisan Market in Northwich on Saturday 10 August. 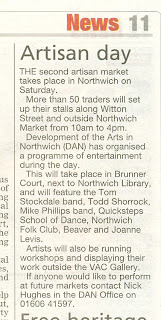 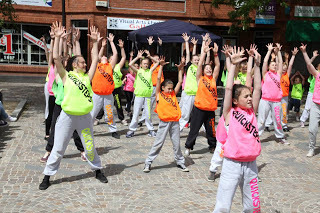 The entertainment takes place in Brunner Court, adjacent to Northwich Library, and runs from 10.30am - 4.00pm. 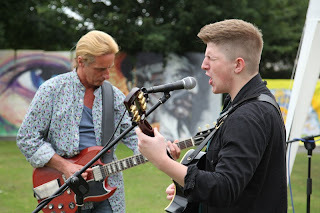 Performing will be the Tom Stockdale band, Todd Shorrock, Mike Phillips band, Quicksteps School of Dance, Northwich Folk Club, Beaver and Joanne Levis. Artists will also be running workshops and displaying their work outside the VAC Gallery. 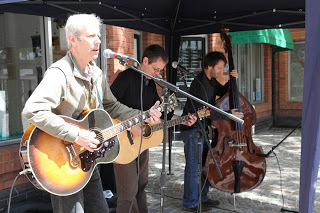 If anyone would like to perform at future markets, please contact Nick Hughes in the DAN Office on 01606 41597.